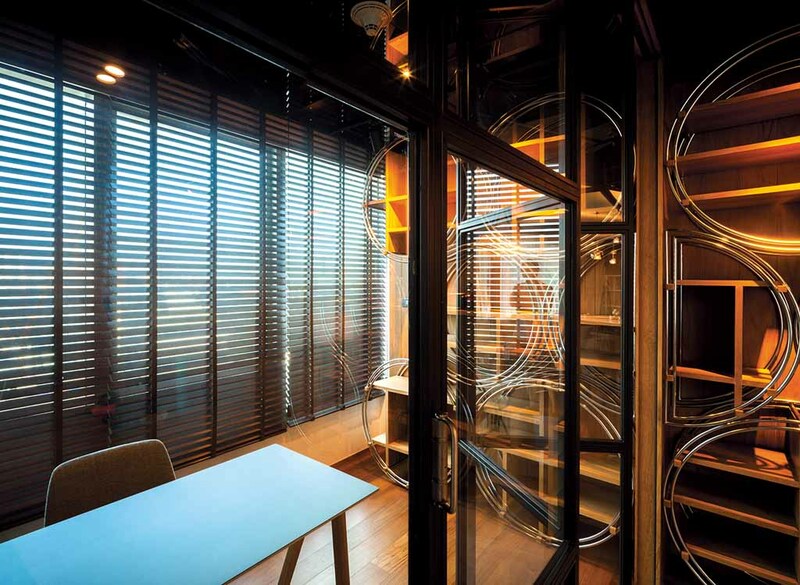 When Mr. Jun Sekino sat down with his client to discuss the renovation of the latter’s apartment, he assumed it would be a routine exchange on problems matched with solutions. 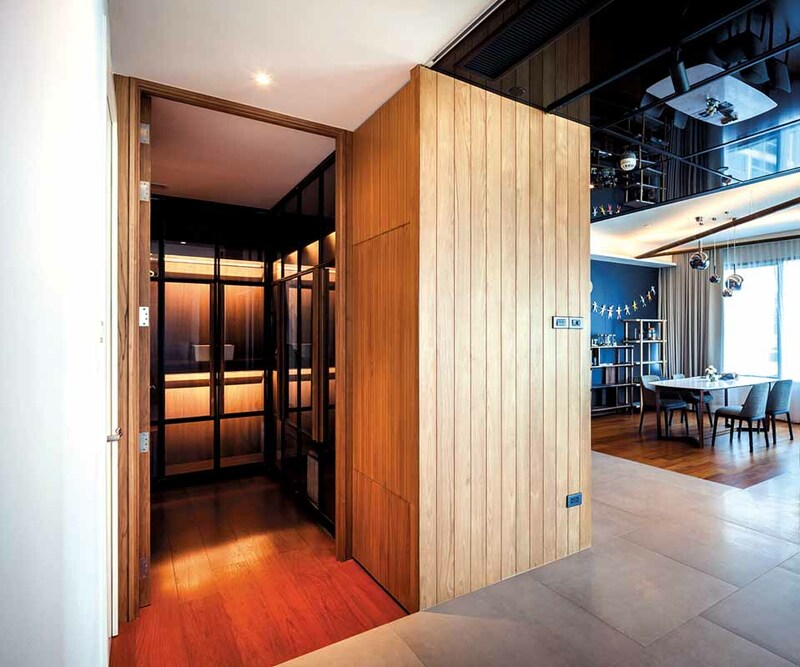 Mr. Sekino, who manages Junsekino Architect and Design, and Junsekino Interior Design Co. Ltd in Bangkok, has been to countless such meetings, and although he still gets excited by the possibilities of trying out new concepts, he also knew that the 128sqm unit will have its own limitations. 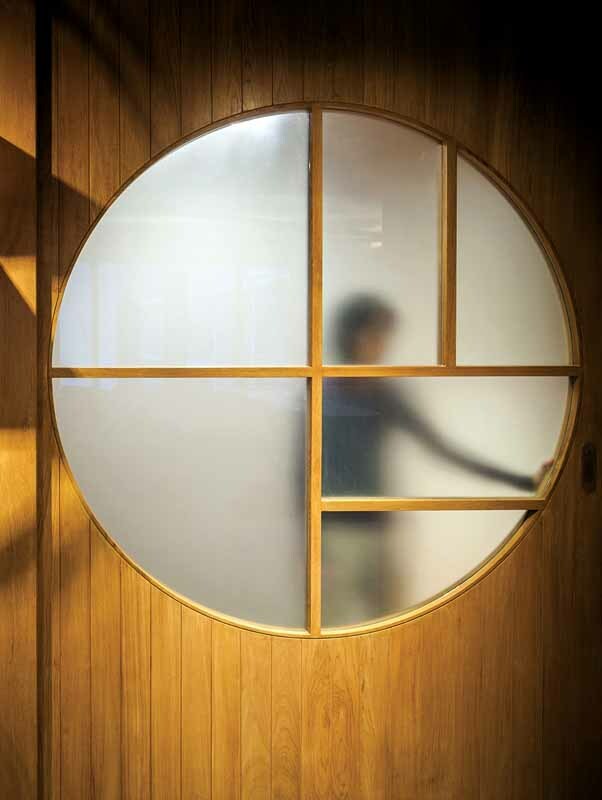 Unlike new builds, apartment renovations impose a set of restrictions that the designer has to manage well in order to arrive at the most ideal solution. But the meeting quickly turned into more than just a case of overhauling an existing apartment. The client, of Chinese descent, was very keen on having geomancy principles, feng shui, worked into the space. 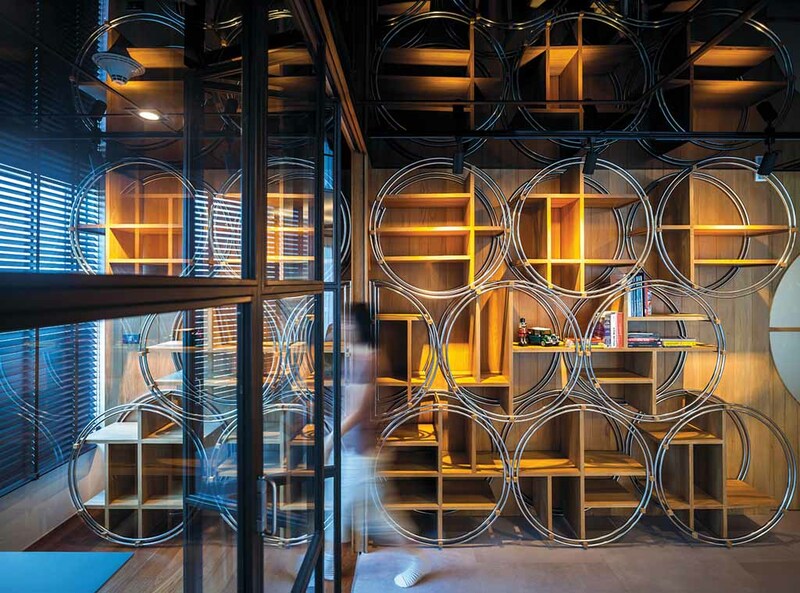 In particular, he wanted circles to be a dominant motif in various parts of the apartment, including its details. 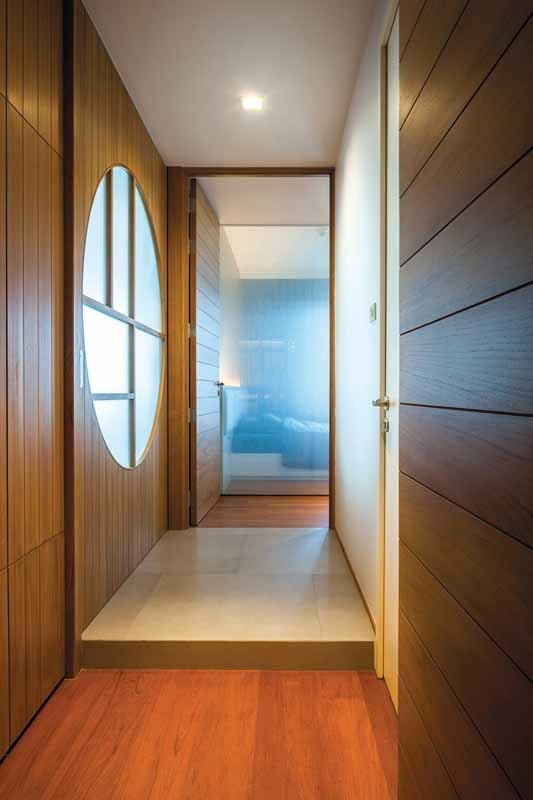 “Working with contractor Handimax, we incorporated circular elements throughout the design of the apartment,” Mr. Sekino says. “We also applied them to functional elements including cabinet handles, windows, shelves, etc.” Mr. Sekino created these elements in various sizes and materials, putting them in the structure and as parts of built-in furniture. 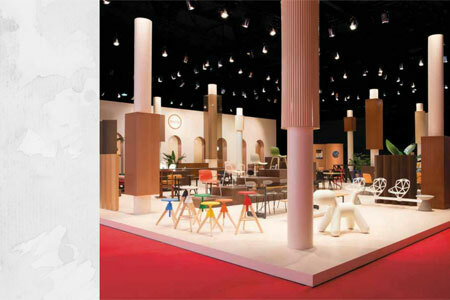 “We introduced teakwood as the principal material and combined it with the existing medium. We also tried to salvage as much of the demolished teakwood structures by recycling them for the renovated space.” Navy blue, glass and steel were added to the space to brighten up the room. 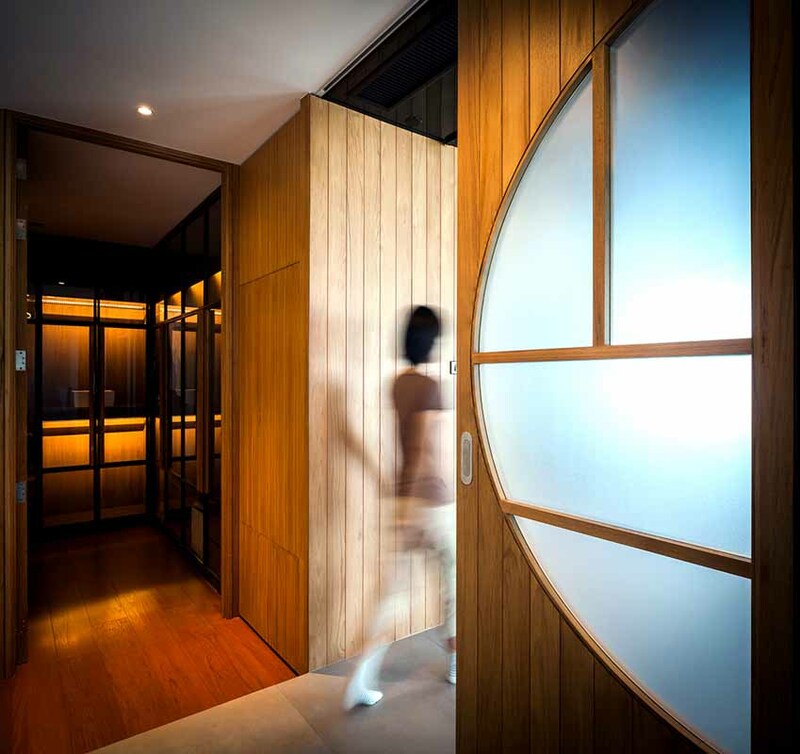 Bamboo was also used as part of the design to reflect the Chinese ancestry of the client and to balance the geometric elements in the rooms. The original apartment comprises two bedrooms and two bathrooms, a dining room and a living area. “Our client’s requirement is for a bigger living area where he can enjoy the views of the city. As the condominium is located next to one of the largest parks in Bangkok, and the room is located in the corner of the apartment, we decided to open it up to expansive views of the park and the cityscape beyond. We also decided to keep the master bedroom but knocked down walls to make an open plan for the rest of the space including the dining and living rooms, and the work area. Although the project is small compared to several others that the firm has completed, Mr. Sekino says it was one of the most satisfying. 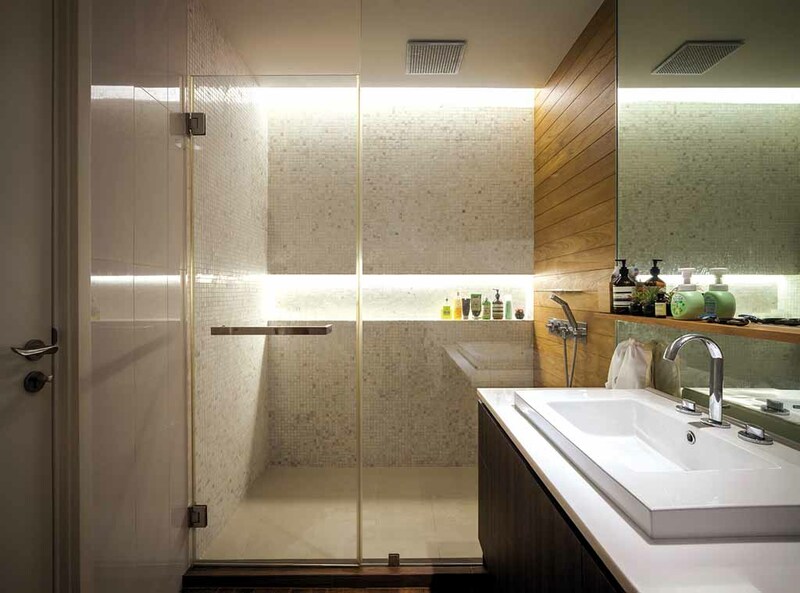 “With the limitation of the condominium structure, we created a little floor level inside the room to hide the existing sanitary system and connect all the electrical system. 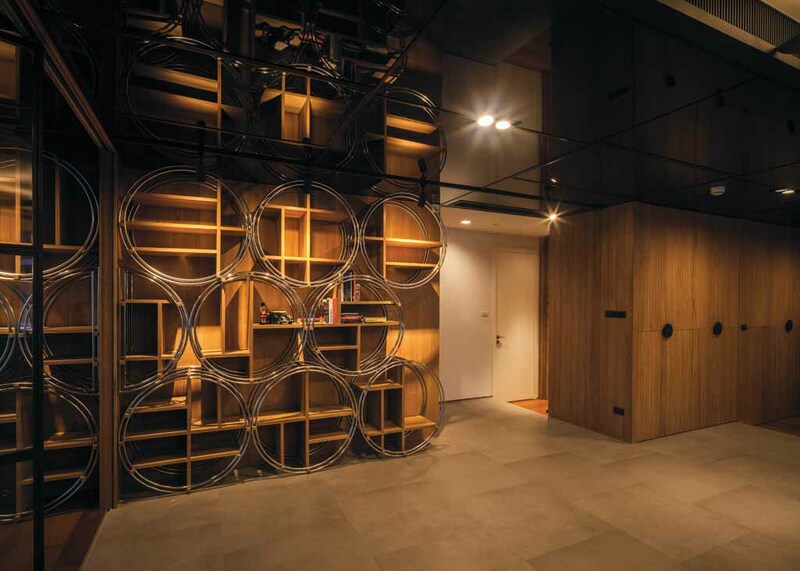 At the same time, the floor level also visually categorizes the function of the space.” The client is very satisfied with the feng shui elements, which seem to have turned the apartment into a harmonious, welcoming place.